Experience a collection of work choreographed and performed by both undergraduate and graduate students of the UMD School of Theatre, Dance, and Performance Studies. The program includes the premiere of bio·mimic·cry, a commissioned work by Chelsea Boyd Brown, the recipient of this year’s Alumni Dance Commission. bio·mimic·cry presents both a satirical and serious lens into being on and of the earth. This new dance theater work by Chelsea Boyd Brown & Collaborators explores how our efforts toward self-actualization may be moving us further away from our initial, efficient, human design. This piece is inspired by biomimicry (the design and production of materials, structures, and systems that are modeled on biological entities and processes), morning, mourning, celebration, and a dash of capitalism. 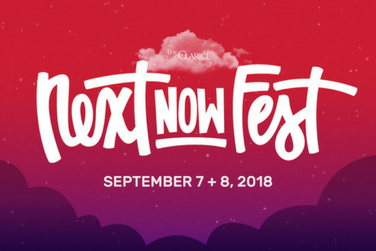 This performance is part of the NextNOW Fest Alumni Commissioning Project, which supports the creation of new works by alumni of the UMD School of Music; and the UMD School of Theatre, Dance, and Performance Studies. Chelsea is a dancer, teacher, choreographer, nature-enthusiast, and activist living in the San Francisco Bay Area, and originally from Maryland. She has worked with PearsonWidrig DanceTheater, Heart Stück Bernie, and creates her own work. She is especially interested in site-specific choreography and improvisation. Chelsea has also been in works by Stephanie Miracle, Adriane Fang, Christopher K. Morgan, and Chris Aiken & Angie Hauser. In May 2016, Chelsea received a dual degree in Dance and Psychology from the University of Maryland, College Park. She has attended many Dance/Movement Therapy (DMT) conferences and workshops and plans to become DMT certified. In 2015, Chelsea conducted DMT research with Spanish-speaking children in Washington, D.C. and Los Andes, Guatemala. Her findings stressed the importance of a secure attachment style when measuring how we relate to others and learn new information.